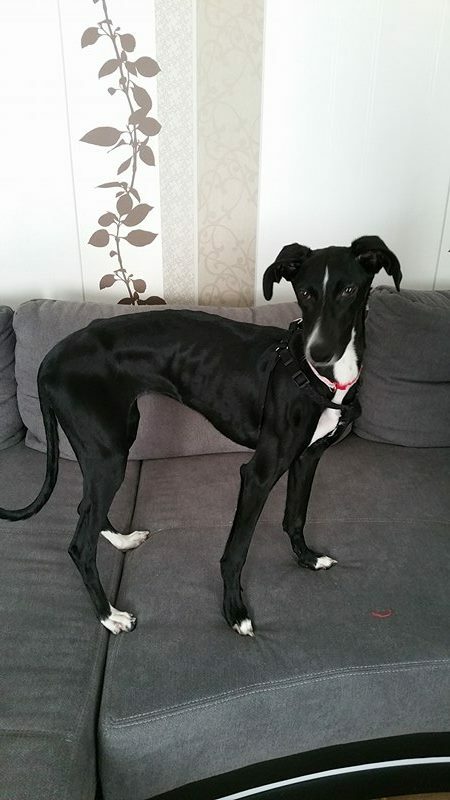 Pepper is a 7 month old puppy needing a new home. She currently lives in Baumholder, Germany. 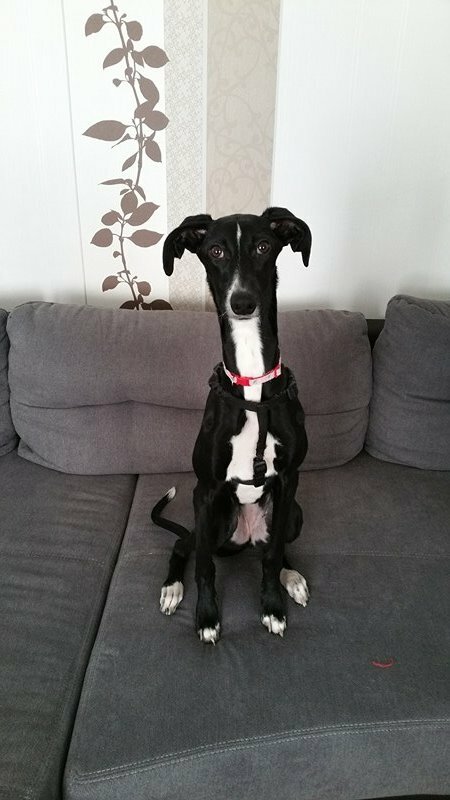 We are not sure of her breed but she looks like a Galgo mix. Her current owner said that she is good with kids and other dogs. She is also good with cats, but can be a little overly excited. Pepper looks skinny, but her owner said that Pepper eats like a horse, is full of energy, and loves to curl up and snuggle. Since Pepper can jump high, a tall fence is recommended. The adoption donation is €50 plus the cost to spay her. More information regarding the rehoming process can be found here. More information regarding the adoption process can be found here.